Redington produces excellent entry-level and midrange fly fishing rods and reels — on any given river in America, there’s a good chance a fly fisher either started out with a Redington fly rod or is happily fishing with one. 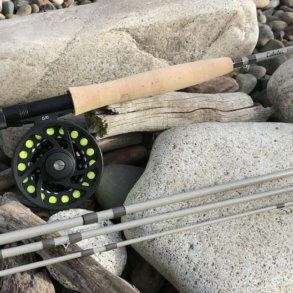 Redington’s new VICE Combo is designed to offer a truly great entry-level fly fishing combo for new anglers while also being a fantastic rod for intermediate fly fishers looking to make an affordable upgrade. To get us a closer look at the VICE Combo, Redington sent us a 9-foot 6-weight review unit. Here is what we learned. The Redington VICE Combo combines a highly fishable fast-action fly rod with the customizable Redington i.D reel. VICE Combo Review: Redington vs Sage? This review starts with a sister company: Both Redington and Sage are owned by the same company, Far Bank. Redington tends to offer entry-level to midrange gear while Sage tends to offer midrange to high-end fly fishing gear. Both companies do an excellent job and have great reputations in the fly fishing industry. So why am I leading with this? I was able to fish the Redington VICE Combo alongside the Sage Foundation Outfit on the same day on the same water in the same 9′ 6-weight configuration. It was a surprising and cool test. For starters, the Sage Foundation is a great fly rod (full review here). It’s a fast action rod that seems a bit faster than the VICE. The Sage Foundation is lighter, made in the USA and the Sage fit and finish is clearly better than the VICE. Of course, the Foundation Rod retails for about $325 while the VICE goes for $199. 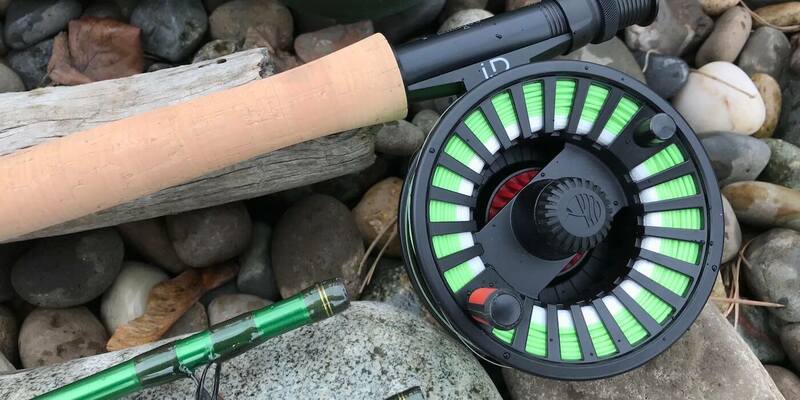 In the combos, the Sage 2250 reel is better than the Redington i.D Reel, too — but the Sage outfit is a good $225 more than the $299 VICE Combo. You could buy new wading boots or a sling pack and a gob of streamers for the price difference. Still, don’t get me wrong: The Sage Foundation rod is made in America, and while it’s a better rod, I like it only slightly more than the VICE. All that said, the Redington VICE is a surprisingly great fast-action fly rod. 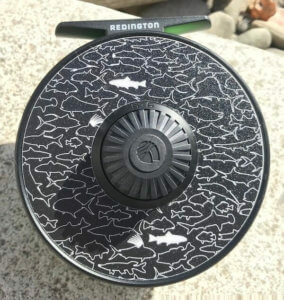 The combo created with the Redington i.D Reel offers a great price-to-value ratio overall. The vast majority of recreational fly fishers can’t go wrong with the Redington VICE Combo — it is very good. The VICE Combo looks great — plenty of color pop. The i.D reel and VICE rod have great fit and finish for the price. The Redington VICE Combo comes with a rod and reel case and Rio fly line and backing. Love the laser etching here. 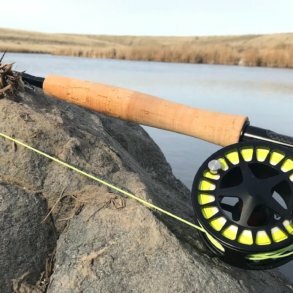 As I noted, the Redington VICE is a fast-action fly rod, which means it’s stiffer in the lower 3/4 of the rod than slow or medium-action fly rods. 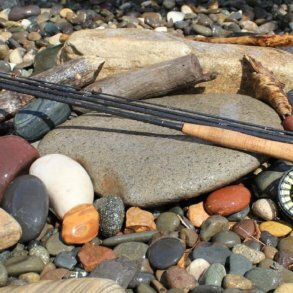 Most entry-level fly rods are medium or medium-fast action rods, which tend to bend more during short casts, making them easier to cast short distances. 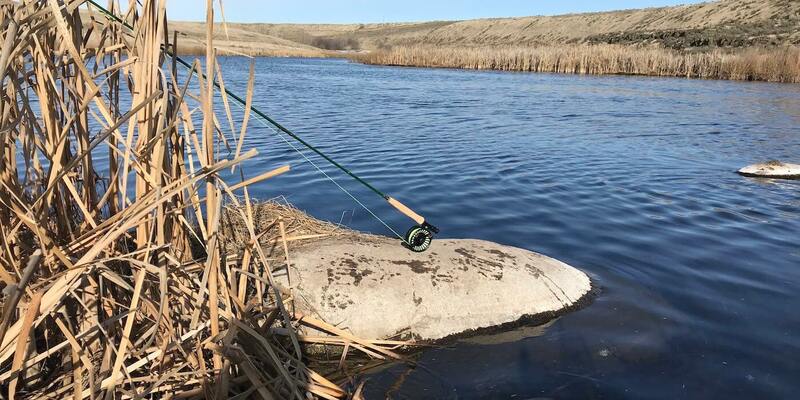 Fast-action rods tend to perform best at medium-to-long distances — about 35-to-75 feet, but good casters can usually shoot line even farther with great technique in favorable weather conditions. The Redington VICE came alive with my midrange casts. It felt good, surprisingly good — and surprisingly accurate. I was very impressed. As for distance, I was astounded. The Redington VICE Combo is a bit heavier in your hand than the lighter Sage Foundation Outfit, but when it came to distance, the VICE seemed to perform nearly as well. It seemed as if the VICE needed to load just a split-second longer than the Foundation, but the resulting long casts shot out well — even into wind and with some gusty crosswinds — while throwing heavier nymph rigs or a streamer. It just felt good casting it. Shop the Redington VICE Combo at AvidMax — on sale now with free shipping! The best feature of the VICE is the bright green blank. It looks good in the sun. The cork handle is nice, too, and I really like the laser etching on the back of the black reel seat. The VICE rod also has alignment dots, which are always handy when you’re assembling your rod. 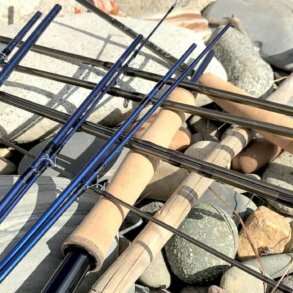 It all comes together with excellent fit and finish for the price range — the Sage is better, of course, as you would expect from an American-made rod with a higher price tag. The takeaway, though, is that the fit-and-finish of the VICE is very respectable overall. Shop now: The Redington VICE Fly Rod is on sale at AvidMax.com with free shipping. The Redington i.D Reel is an entry-level+ fly reel that retails for about $109. It’s a good reel — a little heavy but not bad. The drag is surprisingly smooth. You would have to be a demanding angler for this reel to truly let you down, and in fact, I would expect that even experienced anglers could land big fish with this reel. I’ve landed coho salmon on far cheaper fly reels — as always, I recommend that most fly fishers set their drag a bit lighter than they think they’ll need it and adjust during the fight. The key feature of the i.D Reel is the ability to customize your reel with decals. The drag side of the reel is flat black and can accept specially made round decals that you can remove or stack. The decal that shipped with the VICE Combo is fairly understated, but the quality of the decal and fit on the reel is very good. Redington offers quite a few designs for about $5 each — you could choose a rainbow trout or a brookie skin pattern, for example. I can see these decals appealing to certain younger personalities or to more experienced fishers who just want to make their gear instantly recognizable on a boat or rack — beyond the bright green VICE rod, of course. The Redington i.D Reel lets you choose graphical decals to brighten up the reel. 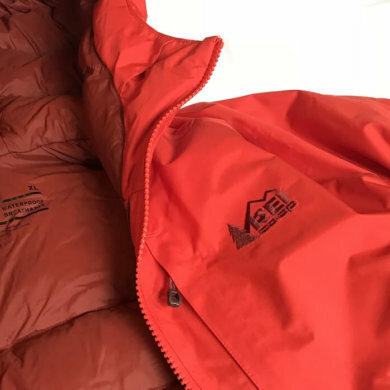 All-in-all, I must admit to feeling just a bit of sadness as I packaged up both the VICE Combo and Foundation Outfit to send back to Sage and Redington — I would have liked to have fished them a bit more long-term, but I’m not sure I would have been able to tease out any new information for you. Both outfits fish well above their price ranges, making them excellent values in their own ways. Choose according to your budget. Still, here’s my final take on the VICE: The Redington VICE Combo shines best through the excellent VICE rod, which casts nearly as good as rods that cost much more. When paired with the Redington i.D Reel, the VICE Combo is a can’t-go-wrong choice for any beginner and a perfect upgrade for most intermediate fly fishers. If you’ve been looking to upgrade to a good fast-action fly rod but have hesitated due to cost, try the VICE. Highly recommended.